FIND DOUBLE BARREL NEAR YOU. 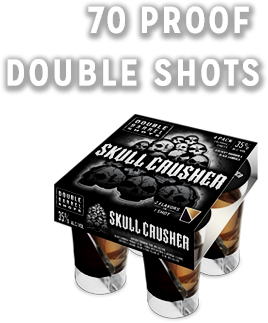 Skull Crusher, Horny Bull, Diablo, Royal Flush...There's no bad time for a Double Barrel Shot. Two flavors in one shot. Twice the size, twice the firepower Are both your barrels loaded?